The POLYWOOD Two Shelf Side Table is the perfect complementary piece next to your favorite Polywood lounge seat. Made of recycled poly lumber, this table is environmentally friendly and remarkably durable. 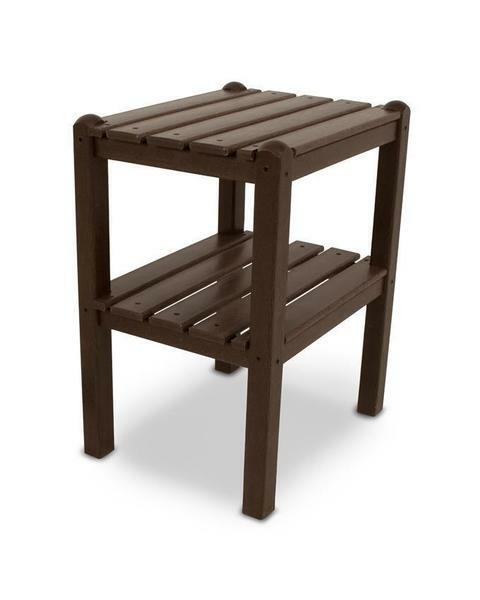 It is a great addition to any patio or deck and will last a lifetime. Boxed Dimensions - 24" x 19" x 6"
Boxed Weight - 19 lbs.